As an undergraduate at Karolinska Institutet (KI) in Sweden, her home country, Lisa Westerberg, now an Amgen Scholars faculty mentor at KI, had her sights set on learning as many methods as possible. To expand her “toolbox” would allow her to answer big questions, she reasoned at the time. For her PhD in cell and molecular biology at KI, Westerberg showed that the Wiskott–Aldrich Syndrome Protein (WASP) — a molecule that had been linked to a variety of immunodeficiency disorders —is critical for the function of B cells, a type of immune cell in the body that churns out antibodies. That finding was the start for many other groups to refine their understanding of the role of WASP and related immune system proteins in disease. 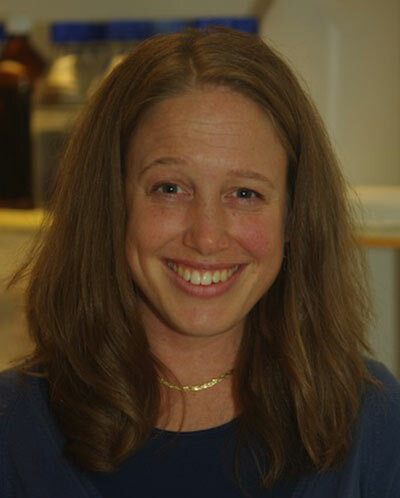 Westerberg broadened her experimental approaches further when she moved to Boston for a postdoctoral research position at Harvard Medical School. In her five years there, she developed new gene-targeted experimental models of WASP-related disorders, including disorders in which the protein is overactive. She also explored gene therapies for eventual treatment. We asked her more about her research and her approach to mentoring, and here’s what she said. What’s going on in your lab? We have set up several different gene-targeted experimental models of human diseases such as autoimmunity, allergy, and cancer. One person in the lab may investigate allergy, another works with cancer, while a third works with autoimmunity. We also have some new gene therapy approaches we plan to set up for primary immune deficiencies that are caused by single gene defects. Primary immune deficiencies are very severe, affecting babies and children, who die without bone marrow transplantation. We work with preclinical models to try different new gene therapy approaches. I have established collaborations with clinicians worldwide, and we have the potential to translate it into clinic. Maybe within 10 years that will be possible. The first gene therapy approach for Wiskott-Aldrich syndrome, in a preclinical model, was published in 2003 by my postdoctoral mentor (Scott Snapper). Within four years it was applied to humans. Because of the severity of the disease, there’s a very rapid translation from bench to bedside. What’s your approach to mentoring undergraduates, and Amgen Scholars in particular? I advise my senior PhD students, or postdocs, to get the chance to actually supervise undergraduate students. In that way, we all learn somehow. For the Amgen Scholars, we meet at the middle of the summer to talk about how everything is working out. Is this person happy, do they get enough supervision? I try to see that they’re satisfied. At the end of the summer, we meet again to summarize the experience, so that we all learn from it. At our last meeting, I also tell them if they want advice they can always come back to me. That’s important. When I was in undergraduate I had similar sort of mentors that were really important for me and still are. What lessons have you learned while mentoring? The biggest lesson is that everybody is different. If you can appreciate that, and come up with a way to mentor this particular student in the best way then I think that’s the key to success. Who were your most important mentors, and why? My PhD supervisor is still one of my most important mentors. We have some common research interests today, of course, but she has also helped me sort out big professional decisions. I think that’s how a mentor should be. Just someone who can see everything more clearly, especially when there are problems or issues. For Amgen Scholars, it begins with supporting them, and telling them how it works at KI and how they will get the PhD student position here. Another very important mentor was a professor I met at Harvard (Luigi Notarangelo) with whom I started to collaborate. From mentorship can also come collaborations. He also encouraged me to move back to Sweden after my postdoc, to become independent. That was good advice. You have two young kids—ages 4 and 2. What sort of advice do you give to young scientists who are hoping to start families? A piece of advice I got from my former supervisor was to not worry about having kids; it will actually be good for you because you will have time start thinking about your scientific path. I agree that it can actually be an advantage. For me, my kids have really helped to get all this funding. When I was a postdoc I worked 24/7, and it was a bit crazy. I never had time to reflect on things. Then, when I was at home with my kids when they were babies, I sort of had to be with them. I had to stop thinking about science, and that actually gave room to think bigger thoughts, and write better grants. I should thank them.